Home » News » New team members, award shortlists and client growth – what a start to 2017! New team members, award shortlists and client growth – what a start to 2017! We’re proud to announce from our Nottingham PR HQ, that we’ve been named finalists in the PR Moment Awards. Taking place tomorrow (wish us luck! ), the leading industry awards have recognised standout campaigns executed by us in the categories of healthcare PR and media relations. The shortlist follows a fast-paced start to 2017 for The Tonic, we’ve welcomed global air conditioning manufacturer Seeley International as a client and extended existing relationships with global mar-tech agency Clicksco Group and national optical retailer Vision Express. 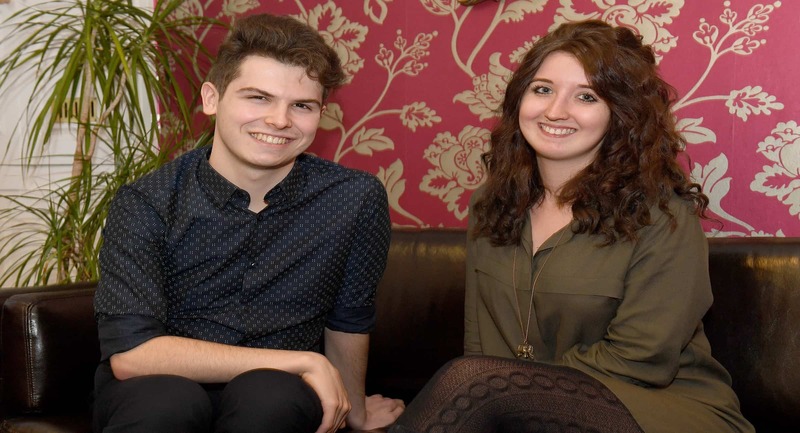 Recently-appointed team members supporting our growth strategy in Nottingham is Jodie Heginbotham, a Masters magazine journalism graduate with two years’ fashion and agency PR experience, alongside PR Intern Nathan Walker, a fashion and branding student. We’re thrilled to be named finalists in these prestigious industry awards. It’s a great endorsement of the passion we have for what we do, and helps demonstrate our unwavering commitment to getting results for our clients that not only meet their objectives, but demonstrate industry-leading expertise. With an expanding and talented team, and a revamped website too, we’re looking forward to what 2017 will continue to bring. We’re always keen to hear from skilled people interested in joining us and invite anyone looking for a first step into a career in PR to get in touch.